ACOs (Accountable Care Organizations) are the bodies working to enhance the adoption of accountable care solutions in the healthcare industry. They are designed to advocate for coordinated and patient-centric care with the aim of improving patient outcomes and reducing overall healthcare costs. The U.S. healthcare industry has over the years been riddled with escalating costs, inefficiencies, waste, and disparities in the level of care delivered. All these challenges can be accredited to the fee-for-service reimbursement model commonly used in our healthcare industry, as well as an incoherent healthcare delivery systems that have led to gaps and redundancies in care delivery. The fee-for-service reimbursement model has been known to reward quantity over quality, allowing healthcare organizations to increase the volume of their services and in the process sacrifice on quality. In the recent years, ACOs have been proliferating throughout the United States. According to a survey by the Accountable Care Learning Collaborative and Leavitt Partners, the number of ACOs in the United States had grown by 12.6% from Jan 2015 to Jan 2016. The study also reported that more than 28 million patients were being treated by ACO providers in 2016. So, just why are ACOs and their accountable care solutions so important to the healthcare industry? For long, the healthcare industry has had to struggle with poor coordination amongst medical practitioners. Patients are diagnosed by different physicians and because of communication breakdown or poor coordination, the specifics about a patient’s medical history cannot be traced. Patients, therefore, end up being misdiagnosed or treated incorrectly and this drives up the costs of their healthcare. But with accountable care solutions such as enhanced coordination of Medicare, patients can be properly diagnosed, treated and offered free preventive services because their medical history is readily available to all physicians. Healthcare providers are also able to work alongside each other and communicate effectively in treating patients be it at hospitals, care facilities or office clinics. ACOs are focusing their solutions on improving the quality of healthcare while simultaneously reducing care costs. Unlike with the traditional fee-for-service payment system that brought in higher reimbursements and made physicians to always ask for more tests and diagnostic procedures for financial gain, the fee-for-value payment system by ACOs is based on quality as opposed to quantity. Under this accountable care solution, only the necessary tests are run. Through care coordination as mentioned above, healthcare providers can easily check what tests or services had previously been performed on the patient to avoid unnecessary duplication. This greatly saves on care costs, time of service and generally improves the quality of care. This is another major benefit of accountable care solutions by ACOs. Population management is fast taking ground to provide better diagnosis, treatment, and tracking. New healthcare delivery models by ACOs offer innovative and creative methods for providers and payers to attain better population health results. The Medicaid ACOs, for example, have been working hard to prevent diseases and promote wellness among the general population, resulting in massive improvements in population health. With such solutions, the likelihood of a disease progressing to a larger population and resulting in more costly hospital stays is greatly reduced. Patients are becoming savvier today with information sharing tools always at the tip of their hands. The bar for medical providers has been raised and will continue to rise in terms of delivering quality outcomes and patient satisfaction. ACO solutions aim at helping providers meet their patient’s expectations and therefore be able to retain them. 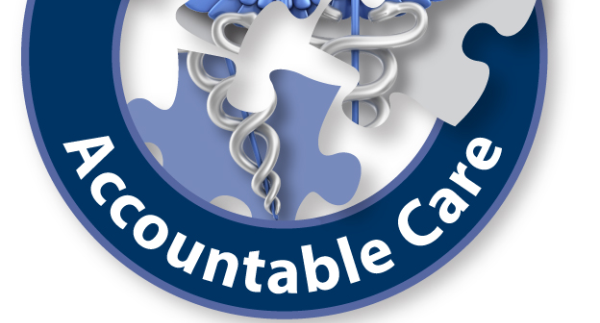 Using accountable care solutions, providers can focus on quality, satisfaction, safety, and value for their patients. This makes the patients form loyalties with them and they become their providers of choice. And when patients are happy, the providers can expect nothing less than many referrals and recommendations. It is evident that accountable care solutions benefit both patients and care providers. And with the rise in growth of ACOs, the healthcare industry in the U.S. is definitely headed in the right direction.